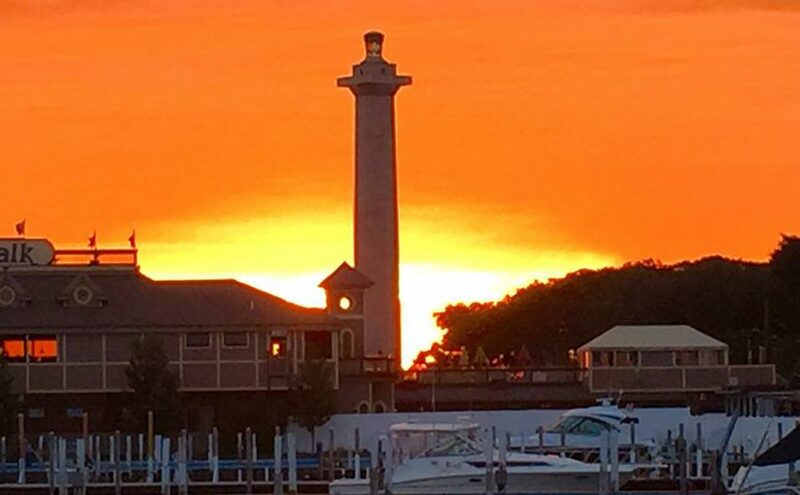 If you or your family is in need of an island getaway, why not try the village of Put-in-Bay (putinbay.com). It is just a short 20-minute ride by ferry (millerferry.com) from the mainland and about an hour west of Cleveland. There are plenty of vacation homes and upscale Waterfront Condos available for rent (putinbayreservations.com). Whether it’s just for a day trip or an overnight adventure on a long weekend, there’s plenty to do in Put-in-Bay. You can rent a golf cart, moped, bicycle, or just go about it the old-fashioned way and take a walk. It doesn’t matter how you get around because the island is only about two miles long. Water sports and fun activities including personal watercrafts and parasailing are popular here, as you’d expect on an island. New this summer is the inclusion of paddleboards! The island offers watercraft rentals (pibjetski.com) if you’re eager to go out on your own and even has guided boat tours. If your getaway itinerary includes shopping, there are more than 15 stores and an array of knick knack opportunities. Restaurants and bars abound and you would hard pressed to visit each of them on one day stay. Must-sees include the Put-in-Bay Winery (putinbaywinery.com) which has beautiful views of the Bay, and the Chocolate Café & Museum (chocolateohio.com) where you can enjoy the confections and see the antique chocolate collectibles. For kids, there is a Bar on the island just for them called The Candy Bar, located right next to Kimberly’s Carousel, a circa-1916 restored carousel. Perry’s Cave Family Fun Center (perryscave.com) is a family-friendly complex centered on a natural limestone cave with an underground lake. It also includes the Butterfly House at Put-In-Bay, with more than 50 types of exotic butterflies, and a free antique car museum. Dandees Snack Shack offers something for the sweet tooth. You can learn about the lake’s crucial role in the War of 1812 at the 352-feet-tall Perry’s Victory and International Peace Memorial (nps.gov/pevi). It’s named for Oliver Hazard Perry, the American Navy commander who played a key role in that conflict. He uttered the famous phrase, “We have met the enemy and they are ours…”. From this tower, all Lake Erie Islands can be seen, as well as the shores of Ohio, Michigan and even Ontario on a very clear day. For reservations and to plan your weekend or midweek getaway, contact Island Club Home Rentals (islandclub.com or 216-898-9951) or the brand new Put-in-Bay Waterfront Condos (putinbaycondos.com or 216-898-1105) to check on availability and pricing!